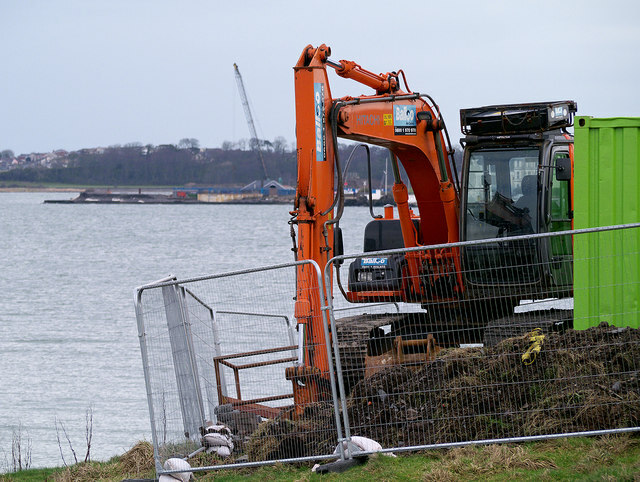 Work well underway to upgrade the sewerage pumping station at Wilson's Point in Bangor. This is not mentioned in the official literature (see shared description below) but I believe that it is part of the overall improvement scheme. This view shows Luke's Point in the background across Bangor Bay - the tall crane is part of the ongoing work at that part of the project.